After a cashier Dunkin Donuts told me they couldn’t make Coffee Coolattas, I walked across the Street to Barnes Knobles to get a Mocha Frappuccino from Starbucks with Kelsey. It was here, I found the culprit, Vera Bradley. It was not only responsible for wristlets. There were totes, wallets, purses and so on. What is it about Vera that draws college women to her products? 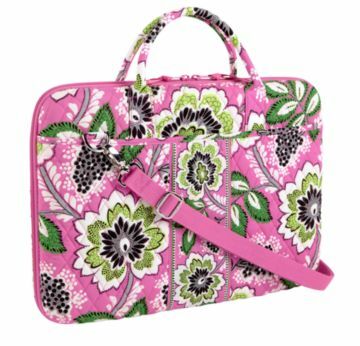 In my opinion, Vera Bradley products are alluring, colorful, and vibrant. If they weren’t, I wouldn’t notice them. Also, the quilted fabric makes Vera Bradley timeless. Let’s face it. Today fashion is more than your clothes jewelry and handbags. It is also about the tools you need to get through life. Whither you like it or not, the things you carry impact your overall style and message to others. This may seem unimportant, but think back to the days when people had to use generic unattractive items to get through life. Back in the 80’s, women did not have a lot of feminine options for their gear. To fix this problem, Patricia R. Miller and Barbara Bradley Baekgaard worked tirelessly to launch their company named after Barbara’s mom. With determination, support, and enthusiasm they were able to create a brand that would stand the test of time. 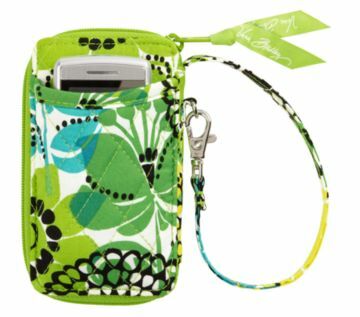 For more than twenty years, Vera Bradley has created items to help women through life’s changes. Whither you’re a college grad, newly wed, working women, or a little bit of everything Vera is there for you. Currently I do not own anything by Vera, but her presence on campus has forced me to take notice. I appreciate her unique history and am compelled to give her a shot. Below are a list of items, I want to purchase from Vera in the near future. This pretty in pink case will be a nice change for my boring black case. I have a bad habit of losing things. You’d be surprised how fast a phone can blend into a room. If and when I lose it, my phone will stand out! I don’t have a good reason for this one. I love to cook/bake. 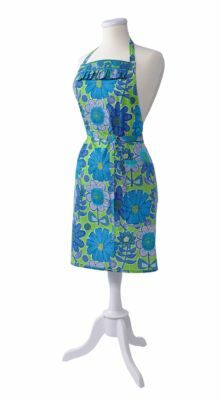 I think I’d look cute in this apron. Eventually, I would like to get a professional Camera. It would be nice to have a cute bag to go with it! Do you own anything by Vera Bradley? If so, what is it and what do you like about it? Would you purchase anything from Vera Bradley? That apron is pretty cute! I would see girls all over my campus rocking Vera Bradley, but I never got into the brand. It’s not my style to be honest. I understand. To each her own. What do you dislike about? I see what you mean about the patterns and colors. I just wanted to get your opinion. I hope I didn’t come across to agressive. It can be really hard. I’m trying to do at least two a week. Tuesday and Thursday. Some people do it everyday. I don’t know how they have time for it.